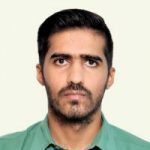 Mr. Mohammad Ameel is currently working as a Consultant, Healthcare Technologies (Medical devices) at National Health Systems Resource Centre, Ministry of Health & Family Welfare, Government of India which is a WHO collaborating center for priority medical devices & health technology policy. He spearheads the work of establishing technical specifications of medical devices for procurement under the National Health Mission (NHM).He also leads the work of identification and uptake of innovations that are of value in public health programs. Mr. Porwal co-founded Sparsh Nephrocare in 2010, one of India’s largest network of Dialysis Centers that was acquired in 2016 by Fresenius Medical Care, the world’s largest dialysis products and services company. He is a graduate of IIT Bombay and Indian School of Business. He has R&D experience with Procter & Gamble at its Japan, Belgium and India-based innovation centers. Mr. Grover is a Public Policy & Health Management professional with over 7 years experience in immunization, infectious diseases, and health policy. 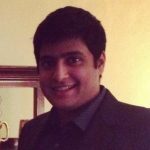 Anirudh is the founder of Touchdown Gurus, a niche consultancy that enables its clients to create meaningful engagements with the emerging startup ecosystem. At Touchdown, he works actively with clients like Uber and Get in the Ring Foundation. 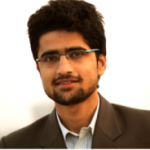 He is a mechanical engineering graduate from Manipal University. Prior to Touchdown Gurus, he worked with NASSCOM’s 10k startups (India’s premier technology industry body), one of the largest technology startup programs in the world. 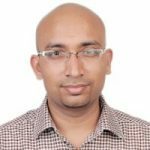 Sanurabh Arora is the CEO and Founder at Lybrate, India’s first and largest online doctor consultation platform. By seamlessly connecting doctors and patients through our health app and making them communicate using mobile phones, the company helps make healthcare more accessible. 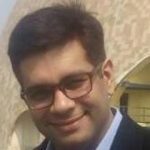 Prior to starting Lybrate, Mr. Arora worked at Facebook in online operations and as a data scientist. He attended Columbia Business School and earned a B.Tech degree in mechanical engineering from IIIT-Delhi. Oommen has worked with the World Health Organization (WHO), Geneva and SEARO on the Measles Aerosol Vaccine Development and contributed to the drafting of the strategic framework for strengthening Immunization coverage in WHO South East Asia Region. He has clinical experience as an Internal Medicine Physician in India and Nepal. His research interests include clinical decision support for improving clinical outcomes, health informatics and analytics, strengthening health systems through disruptive innovation. 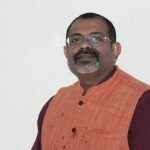 He is a member of the Indian Association for Medical Informatics and International Society for Vaccines; he contributes to a number of government, non-government and research advisory committees. Ms. Seth is a development sector professional with over 8 years of experience. Through her work with startups, national level NGO’s, the Government of India and educational institutes, she has worked on gender, urban governance, youth development and education in functions as diverse as strategy, management, marketing, training and facilitation, fundraising, administration, and program design and implementation. She has an in-depth understanding of the development sector and am equipped to critically engage with social issues. 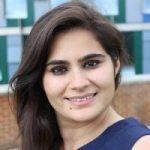 Ms. Seth recently graduated from IDS, University of Sussex in a MA in Development Studies and hopes to work with some of the leading organisations in development and most importantly facilitating sustainable social change through measurable outcomes and evidence based solutions. 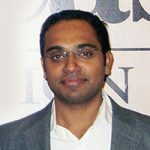 Avijit Bansal, MBBS, DTCD, Stanford India Biodesign Fellow, Co-founder, CEO, Windmill Health Technologies Pvt. Ltd.
Avijit is inventor of NeoBreathe, the world’s first foot operated newborn resuscitation system – which helps caregivers save the lives of babies. 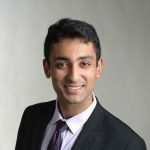 He is co-founder and CEO at Windmill Health, which is currently commercializing NeoBreathe with funding from USISTEF, Gates Foundation, BIRAC, Grand Challenges Canada and Villgro. Avijit is a Stanford India Biodesign Fellow and visiting faculty at the School of International Biodesign at AIIMS, New Delhi. A medical doctor and pulmonologist by training, he has worked at Fortis Hospital, NOIDA, and DDUC Hospital, Ghaziabad. He has also consulted for HITLAB, a company at Columbia University, New York. As a medical student he started PAHAL, a student volunteer group for under-5 children. Being a staunch believer in the power of innovation to enhance lives, has addressed many events and workshops at some of India’s leading institutions. 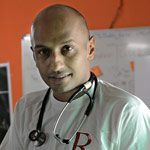 Surojit Nandy is CEO and Founder at Raxa Health, a health intelligence platform which is trying to holistically improve healthcare by the disparity in information through digitally connecting patients and providers. Surajit worked as a doctor in the US for over 20 years before coming back to India in 2010. He completed his MD from the University of Washington and earned a PhD in internal medicine from Duke University. As a physician and academic, Nundy was primarily interested in cognitive neuroscience and in understanding the internal workings of the human brain. His PhD focused on perception and understanding ‘why we see what we do’. With his years of experience, he returned to India to practice healthcare in rural and slum areas around Delhi. Here, he realised that a large gap in India’s public health system could be fixed by instituting a reliable information network. This informs much of his work today with Raxa. Nikhil is the founder of Aadhan Infrastructure, a social enterprise that makes eco-friendly infrastructure using shipping containers. He holds a bachelor’s degree in Economics from New York University (NYU) and has an extensive background in development work. He previously worked with IFMR-LEAD, a development economics research center where he handled stakeholder outreach and short-term policy research projects. He has also published research on macroeconomics, impact evaluation, and microfinance. 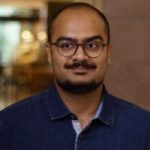 Devashish Sharma is in charge of product and growth at CoHo.In, a tech startup that aims to provide a superior living experience to millennials in India. Harkaran is an entrepreneur working in the the medtech space. He is currently running three separate ventures in the following areas: digital pathology, molecular diagnostics and photonics. Harkaran is a previous Jugaadathon winner, and has expertise in medical device manufacturing and product development, building and scaling biomedical ventures, molecular biology and diagnostics. Dr. Vijayan is a Medical doctor with a Masters in Public Health (MPH) and over 20-years experience of working across the complete spectrum of Public and private Health Services and Health Systems Strengthening, pertaining to lung diseases (Tuberculosis), HIV/AIDS and other diseases. 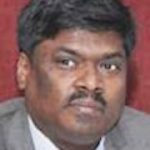 He has worked at different level of health systems, including, Ministry of Health and Family Welfare, Government of India. Worked with WHO and other international NGOs in India and Africa. Currently he serves as the Director TB /HIV PATH India, managing a team of 30. He has published several peer reviewed scientific papers..